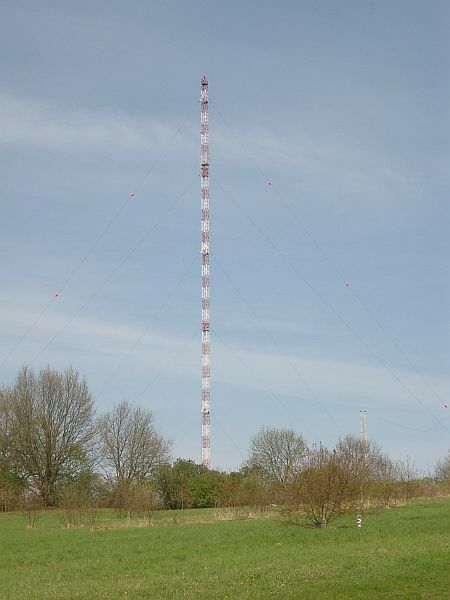 The mast (height 210 m) is part of the transmitting museum Königs Wusterhausen, which was established on the site of the former very big transmitting station "Funkerberg" in Königs Wusterhausen since 1992. At this site the first German radio transmission was broadcasted on 22nd of december 1920. It was a Christmas concert distributed on long wave provided by German post. 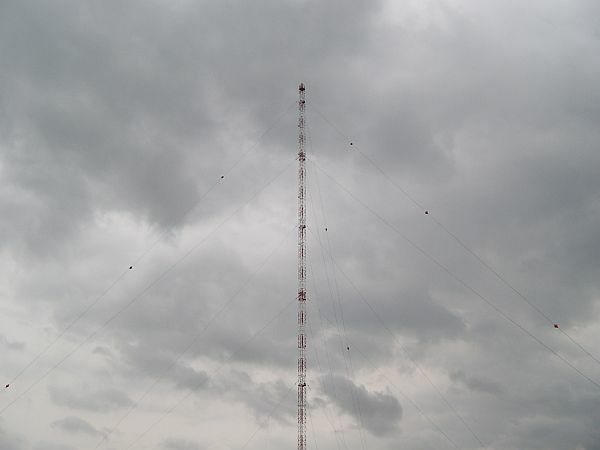 The transmitter Königs Wusterhausen was a large transmission facility for longwave, mediumwave and shortwave near Königs Wusterhausen, southeast of Berlin, Germany, which was established in 1915. On December 22, 1920 the first transmission on music and speech was made there in the longwave range. The museum is located very close to the highway "Berliner Ring" (A10) South East of Berlin and it is open on Tuesday, Thursday, Saturday, and Sunday from 13:00 to 17:00 h.
The stays are provided by markers in order to increase the visibility of the stays. 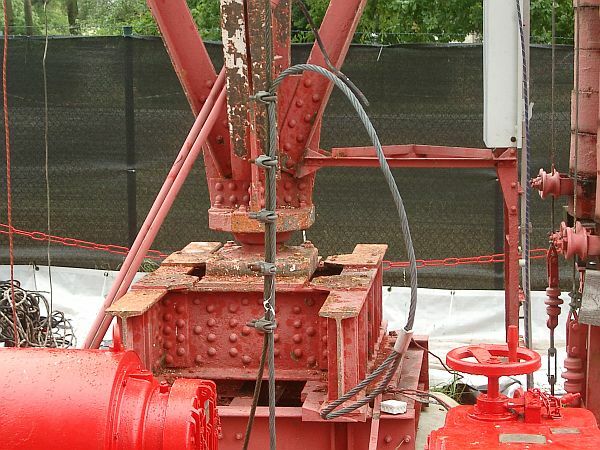 The stays are without insulators. 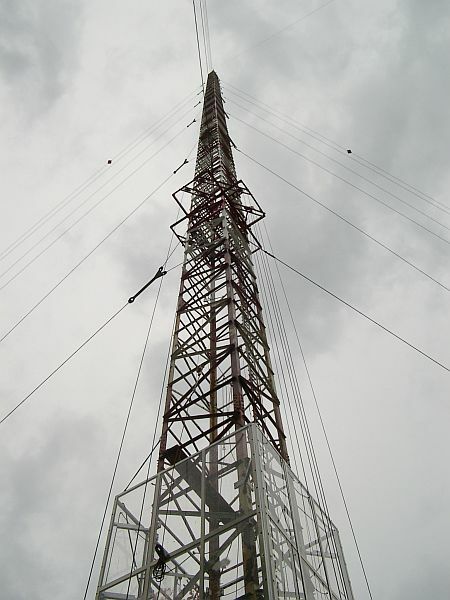 There is only one insulator at the base of the mast, which is actually not applicable for MW broadcasting. The platform (at the bottom) surrounded by glass can be lifted by winches to enable effective working. 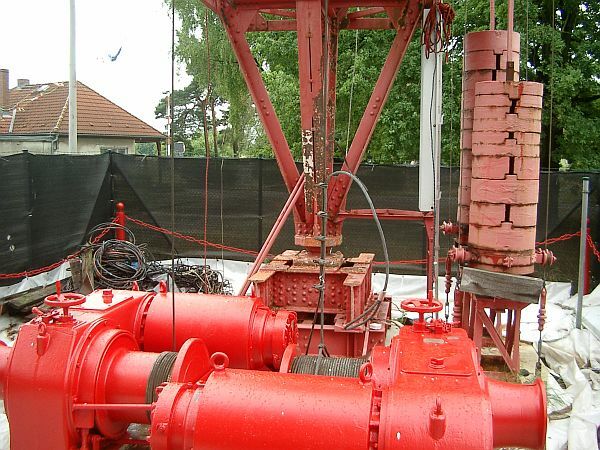 All what is needed for maintenance at the base of the mast. 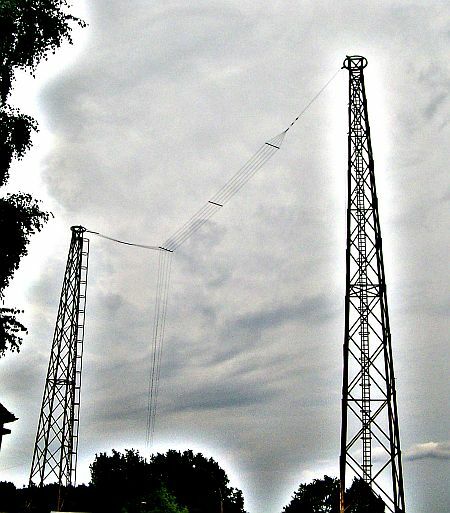 These two towers ( h= 35 m) are also remains of the former giant antenna site. The existing T- antenna of today is new and not part of the former system. 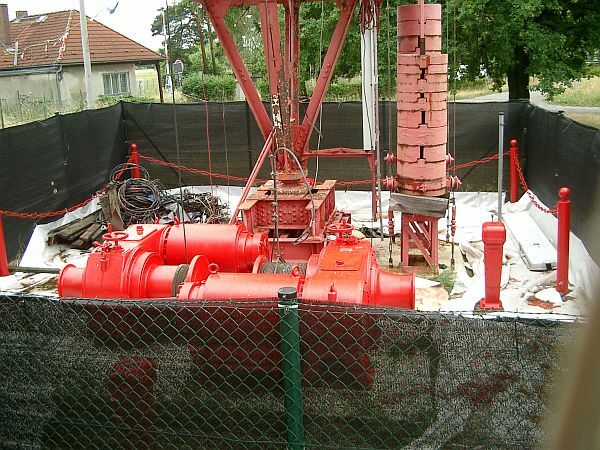 This antenna could be used to start broadcasting on MW very quickly from Königs Wusterhausen. Where is Königs Wusterhausen located?